The first two databases have been dedicated to the most popular options to meet the French - 3.Nd2 and 3.Nc3 respectively. In his third and final part, Marin is dealing with the other White's alternatives on the very first moves. He is providing adequate antidotes, both based on strategical ground and by concrete ideas or move orders. The included material resembles a small encyclopedia from Black's point of view. It is structured into 25 chapters. The last 9 are covering the less popular continuations on move 2, as well as the unusual ways of defending the attacked central pawn after 2.d4 d5 in the final one. Before them, another 5 are devoted to its exchange - 3.exd5 exd5. The author examines both the symmetrical position after 4.Nf3 Nf6 (chapters 12-15) and 4.c4 (chapter 16), by which White shows readiness to play with an isolated central pawn himself. At this point, Marin states that "it is hard to imagine a position where this thematical way of undermining the centre is more natural than here". The position arising after 4.c3 Nc6 5.Nf3 Qb6 is the subject of the chapters 3-11. In this position, by far, White's main move is 6.a3. This is the preference of the modern guru of this variation for White Evgeny Sveshnikov. The main line goes on with 6...c4 7.Nbd2 Na5 and a complex strategical battle to follow. 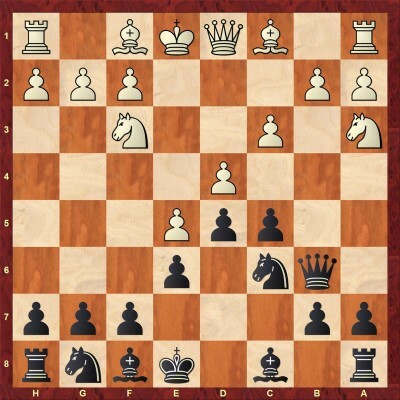 By closing the center, Black deprives the opponent of the intended 7.b4 and suppresses any early aggression. 4 chapters are used for revealing the plans and the subtleties in the ensuing middlegame. The review of the Advance variation (3.e5 c5) begins with a small section of two chapters, in which the reader will get an impression on the most important alternatives of the usual 4.c3. Chapter 1 deals mainly with early queen sorties to g4. 4.dxc5 Bxc5 5.Qg4 runs into the vigorous 5...Ne7! After castling, Black will have all his pieces involved into play. It is unlikely that his opponent can defend for long. Later in the database, one can find ''But generally, if there is a worthy alternative I prefer to refrain from early pawn grabbing.'' A brief look at this sample line justifies the author's point of view. 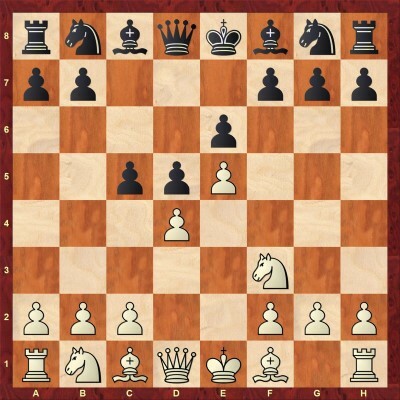 Marin writes ''The early queen incursion is more typical after Black has developed his king's bishop (most frequently in the 3.Nc3 Bb4 lines). In the current position, it fails to gain a tempo by attacking g7, but tries to prepare a slow kingside attack based on massing the pieces on this wing. The drawback of the last move: It neglects the fight for the central squares, implying at least a temporary pawn sacrifice.'' His last sentence is immediately confirmed by 4...Nc6 5.Nf3 cxd4 6.Bd3 Qc7! At this point, the author comes up with a fresh and strong idea 10...Bd6!. Black intends to advance his own e-pawn under the best possible conditions. 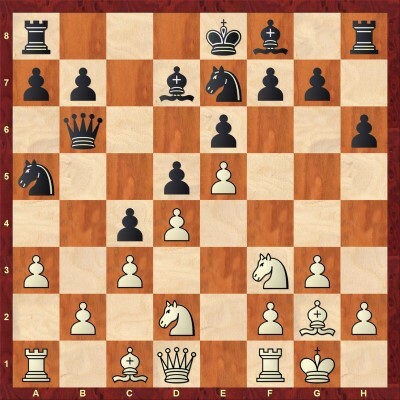 After 11.Ng5 Ke7 the h7-pawn can be taken, but Black's preponderance in the center will tell quickly. Black is preparing to attack the second central pawn, which has to be defended by pieces. 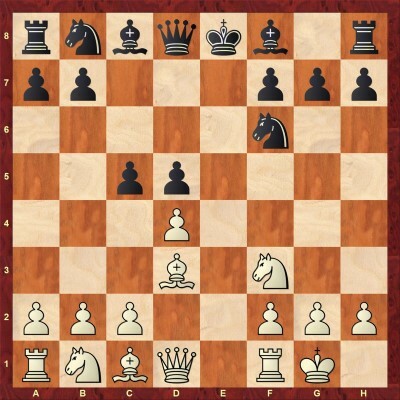 For example, after 7.Re1 Ng6 8.Nbd2 Qc7 9.Bxg6 hxg6, the move 10.Nb3 does not stop the break 10...f6. Black has a comfortable equality at least. Black has kept his extra pawn so far and has an impressive central structure. White needs to look for ways to grab the initiative based on the king's relative exposure. Chapter 3 - 4.c3 Nc6 - Sidelines on moves 5 and 6. 4.c3 Nc6 5.Nf3 Qb6 is the initial position of the suggested repertoire by Marin against the main line of the Advance Variation. the continuation 9...Nb4! 10.Nc3 Nxc2 11.Qxc2 Nf5 12.Qf2 h5! gives Black an excellent play. The play may continue 6...Qxb3 7.axb3 cxd4 8.cxd4 Bd7 9.Bd2 f6! 10.exf6 gxf6. Black has the advantage due to the better pawn structure. With his last move, Black practically forces White to sacrifice his central pawn as 8.Bc2 Nb4 9.0-0 Nxc2 10.Qxc2 Ne7 and 11...Nf5 is quite similar to the aforementioned line. 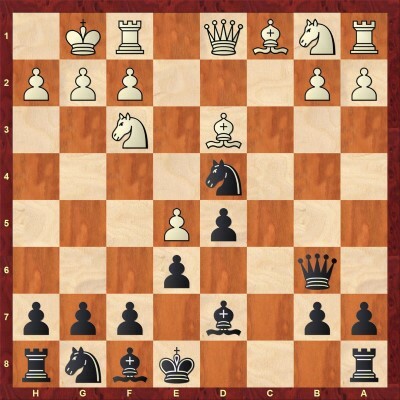 Black is fine even with the enemy f-pawn still on its initial square. At this point, the author deals with three continuations - 9.Ng5, 9.Nxd4 and 9.Nbd2. Definitely, in most of the lines, White has some compensation for the pawn but nothing more. With a correct play, Black is able to gradually extinguish White's initiative. Directing the knight to c2 for overprotecting the center. Black can safely mobilize his queenside - 6...cxd4 7.cxd4 Bd7 and meet 8.Nc2 with 8...Nb4. Trading the light-squared bishops (prepared by ...a6, if necessary) seems inevitable and will be an achievement for him. Marin follows the course of Efimenko-Fridman - 9.Ne3 Bb5 10.a3 Nc6 11.Be2 a6 12.Bxb5 Qxb5 13.Bd2 a5 14.Bc3 Nge7 15.Ng1 and comes up with a logical improvement of 15...a4! 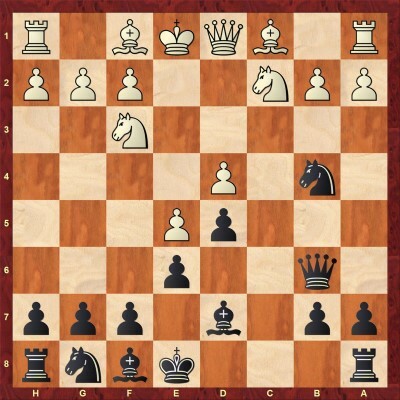 correctly observing that Black must concentrate his efforts on the queenside. 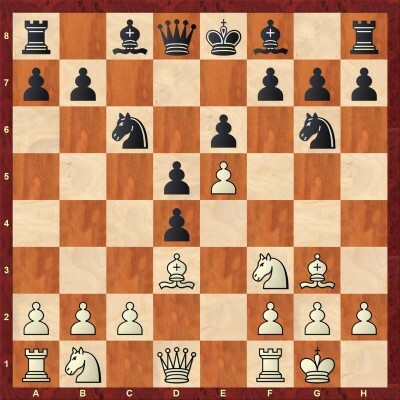 The next two chapters feature the second 6th move in popularity - 6.Be2. 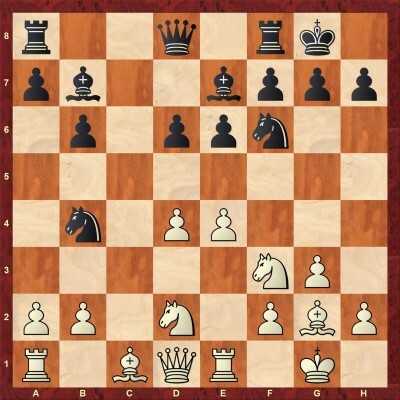 White must take an important decision since Black is planning to follow with ...Nf5 on the next move. This is an attempt to provide the d4-pawn with indirect defense in view of Na4. But the knight will stand badly on the board edge, offering Black additional options for counterplay. In this chapter, Marin also deals with 8.b3. 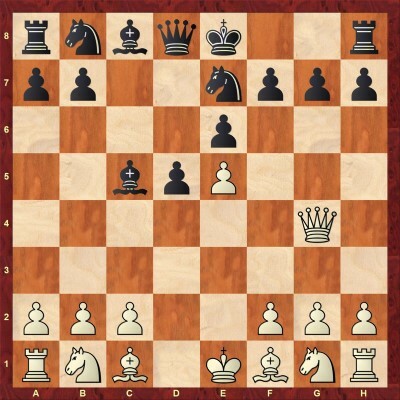 This move, however, is not very good since 8...Nf5 9.Bb2 Bb4 deprives White of castling rights. Later on, will start preparing f7-f6 by means of ...Be7, and ...0-0. In this position, White has a choice between 10.Kf1 and 10.Bd2. In his analysis, Marin proves that none of these continuations manages to create problems for Black. A useful move, completing the mobilization of the queenside while keeping the options for both Na5 and the familiar Nb4, preparing Bb5. 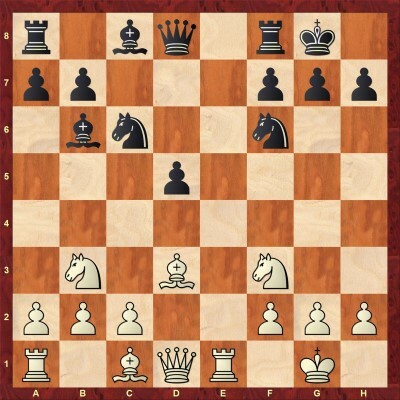 At this point, White has a number of possibilities - 11.b3, 11.Rb1, 11.Bd3, 11.a3, and the fashionable 11.Kh1. With a correct play, Black manages to create a sufficient counterplay in all these lines. 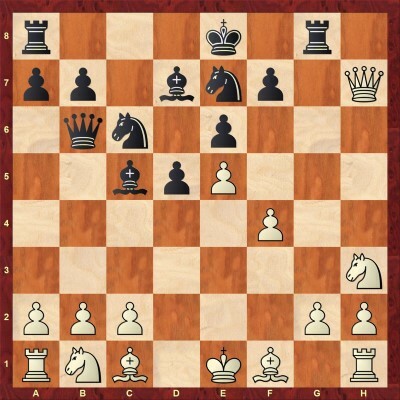 The next four chapters are dedicated to White's main continuation - 6.a3. This is the classical main line and the most ambitious one. White intends to neutralize Black's pressure with b2-b4. 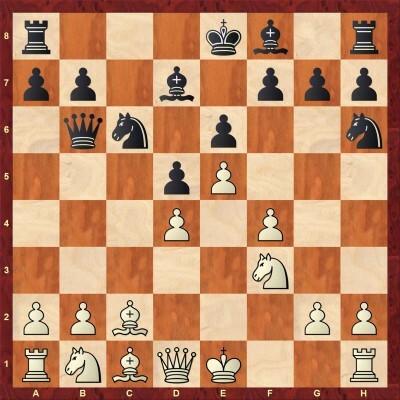 The main drawback of this move is the weakening of the b3-square, which justifies Black's 6...c4. 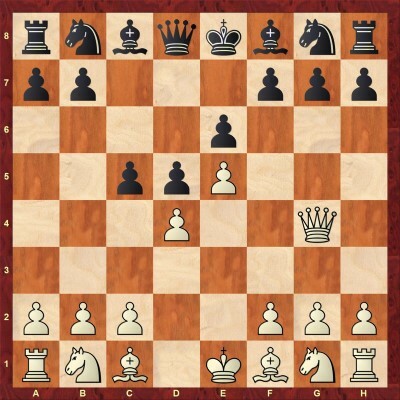 "The point is that White will not find it easy to open the queenside with b2-b3 (b4), as this would create a new weakness on c4. 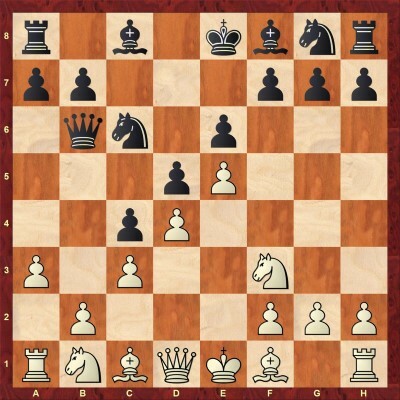 Besides, the last move prevents the most active white bishop's development to d3 and also restricts other white pieces to some extent. Black can try to stabilize the queenside and castle long. Since White must castle short, the main events are likely to take place on the kingside. Even though White has a space advantage on that wing, the king's presence usually makes the situation double-edged." The position on the diagram is the subject of the next four chapters. 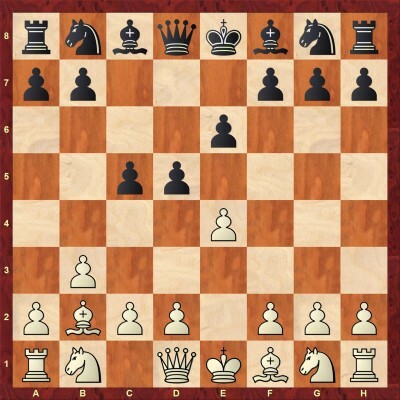 A brave idea, similar to the wing gambit 2.Nf3 d5 3.e5 c5 4.b4, which will be the subject of Chapter 17. The difference is the mobility of the c-pawn, on which White is putting his hopes. 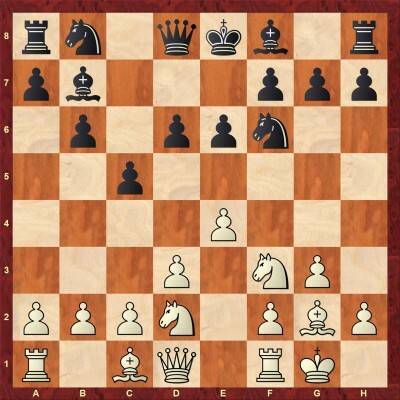 However, Black can continue with the common 9...Bd7 and ignore the pawn march - 10.c4 Ne7! 11.c5 Qc7 12.Bd3 Ba4. 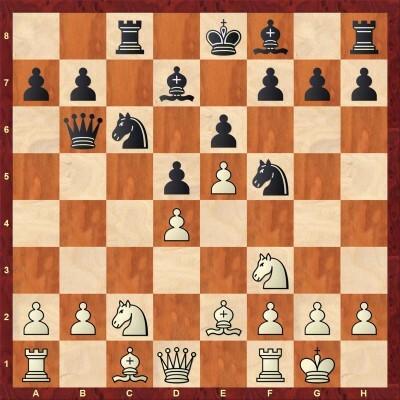 The usual answer is 13.Rc1 and here Marin refines the known move order with 13...b6 instead of 13...b5. After that pawn exchange, White can hardly compensate the material deficit. 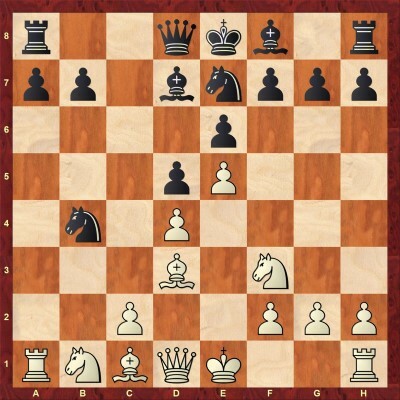 A natural developing move, the main continuation 8.g3 is examined in the next two chapters. In all of these branches, a tense maneuvering is expected and the reader is well-advised to consider the plans, proposed by the author and his assessments. Below some of them are quoted in order to make the moves easier to be understood. Later on, in his annotations, Marin demonstrates that after consolidating the queenside, Black often stars active actions on the kingside. This is considered the main line. 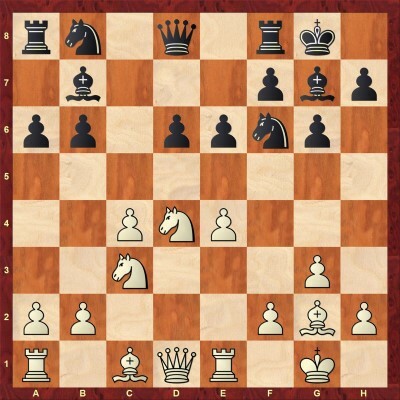 By developing his bishop to g2 or h3, White gets some more space for his pieces in the center. This is one of the cases where Black does better to tread with care. 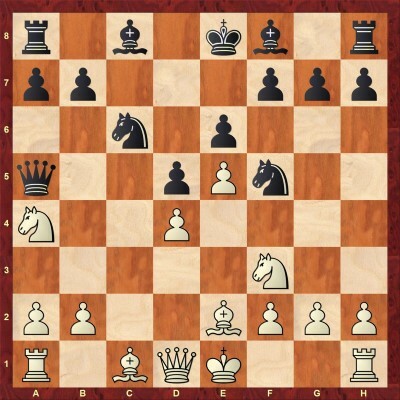 The familiar plan initiated by 10...Qc7 can be met with 11.Ne1 followed by f4-f5. The last move invites White to define his intentions. 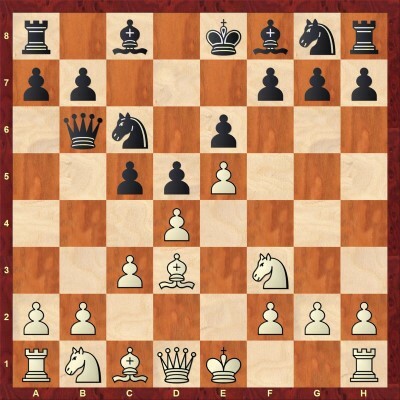 In general, Black is advised to opt for ...Qc7 if White had already blocked the e1-square by means of Re1. In his annotations to this chapter, the author is showing the optimal piece against each White's plan. 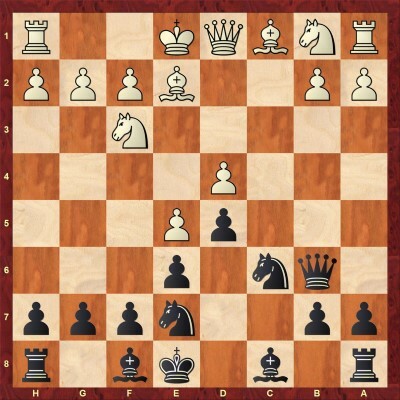 It is important to point out that in response to 12.Ne1 0-0-0 13.f4 Black can establish a blockading knight on f5, while 12.h5 forces the second player to show precision with 12...0-0-0! 13.Nh4 g5! 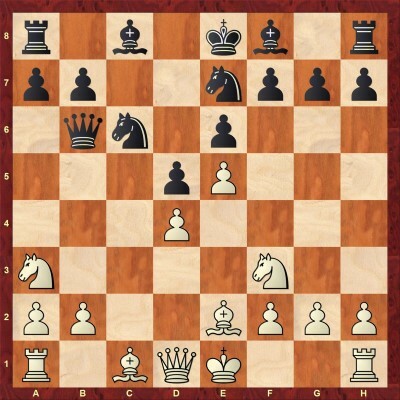 (''A well-timed move, before White plays f2-f4'') with good chances after 14.Ng2 Bg7. The Exchange Variation is usually considered as a sign of peaceful intentions. Marin is sharing his experience of how to play for a win as Black. 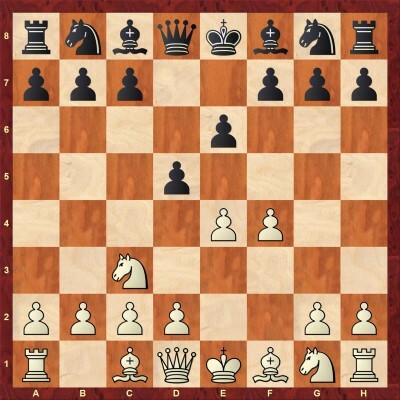 The choice to rely on c7-c5 and agree to an isolated central pawn is not surprising and corresponds to his opening strategy against 3.Nd2. 4...c5 is recommended in reply to 4.Bd3 and other minor alternatives. The only exception is 4.Nf3, to which preference is given to the preliminary 4...Nf6. 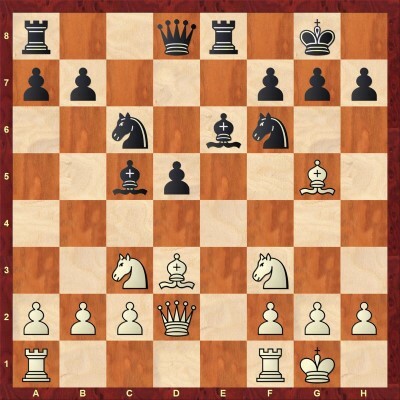 The author is also providing high-level examples with other developing moves like 4...Bg4 and 4...Bd6. One of the two main continuations. 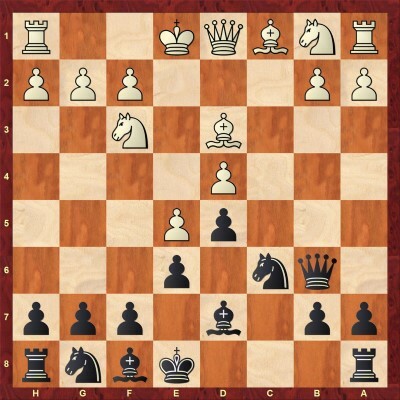 Black has many sensible moves, but the ambitious plan, starting with 5...Be6 deserves serious attention. 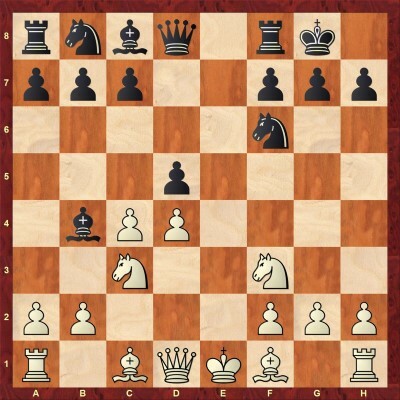 After 6.Nbd2 Nbd7 7.Bd3 Black is chasing the bishop - 7...h6 8.Bh4 g5 9.Bg3 Nh5, which has been successfully used by the author on two occasions. His opponents prepared to castle long by 10.Qe2 only to find themselves pretty soon on the defensive side. In Vedmediuc - Marin, Black even had a couple of attractive opportunities for his beloved break c7-c5, see the notes to the game. A natural developing move. True to himself, Marin opts for 5...c5, aiming at active piece play. After the premature capture 6.dxc5 Bxc5 7.0-0 0-0, he is presenting two exemplary games of his. White found himself in a deep trouble as early as on move 11 after 8.Nbd2 Nc6 9.Nb3 Bb6 10.c3 Bg4 11.Be2 Re8 in Baches Garcia - Marin. 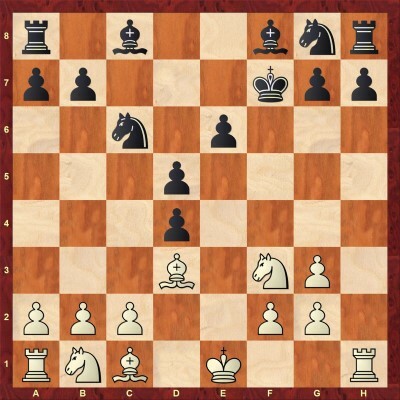 This position occurred in the game Deac - Marin, when ’’Black has some more space due to his well defended and unblocked isolani’’ according to the author. This is the critical continuation, aiming to provoke Black into wasting a tempo when re-capturing on c5. 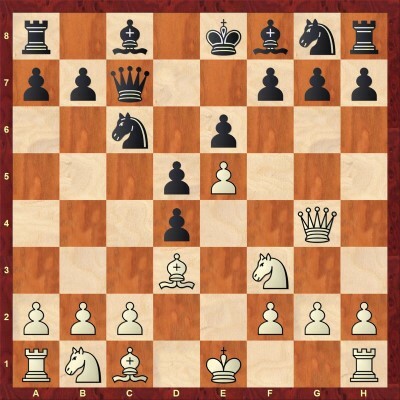 Тhe game Colovic - Marin followed the course of Baches Garcia - Marin with an extra move Rf1-e1 for White - 6...Nc6 7.Re1 Be7 8.dxc5 0-0 9.Nbd2 Bxc5 10.Nb3 Bb6. 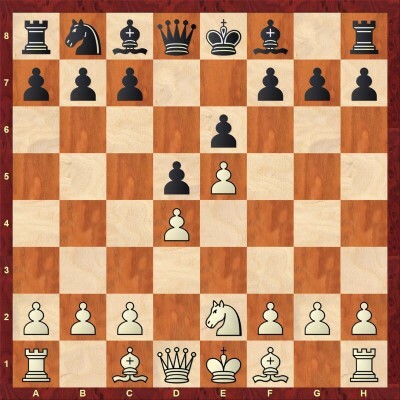 In spite of this difference, the first player could not claim more than equality after 11.h3 Ne4! 12.Be3 Bf5 13.Nbd4 Bg6. At this point, White has a number of options at his disposal. In his annotations, Marin covers 7.Bd3, 7.Be2, 7.Bg5 and 7.a3. Black holds his own after each of these continuations. In a case of 7.a3, the play might get extremely sharp. 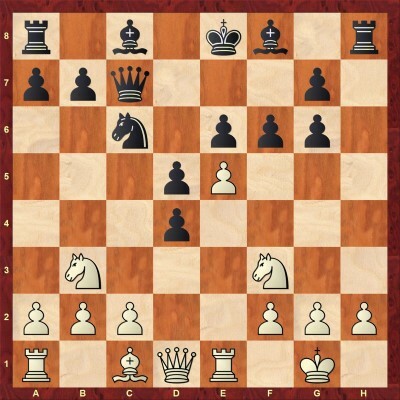 In this line, Marin provides a strong novelty which forces White to be precise in order to keep the balance. The coverage of White's not so popular replies to 1...e6 is starting with 2.Nf3, divided into two separate parts after the usual 2...d5. 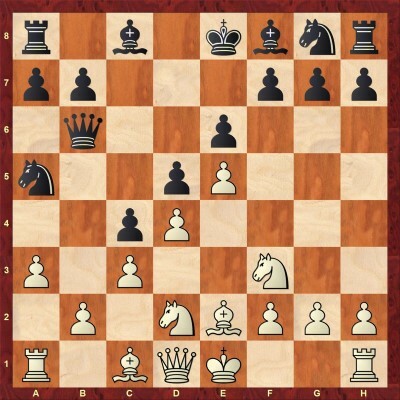 At the cost of a pawn White has built a stable center and hopes to create threats on the kingside. However, 5...Bd7 casts serious doubts on this idea. 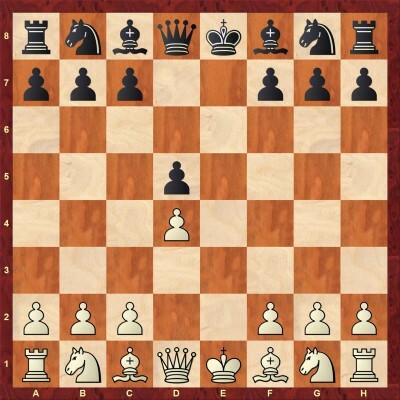 For example, 6.Be2/d3 can effectively be countered by 6...Qa5 with 7...Bb5 coming next. Besides, Marin also comes up with a more complicated version - 6.Bd3 Ne7 7.a3 Nbc6 8.axb4 Nxb4 taken from an old game of David Bronstein. At this point, in response to the obvious 9.Be2, Marin explains why the novelty 9...a6 is so strong. The author summing up that ‘’We have reached a normal French structure, where the absence of one pair of knights nullifies Black's space problems.’’ Even 8.Be3 cannot stop the typical 8...c5 and the featured game Roy Chowdhury-Drozdovskij remained balanced and was drawn on move 34. 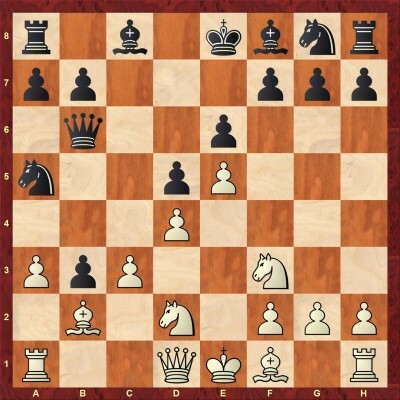 Chapter 19 is devoted to 2.b3 d5 3.Bb2, connected with a pawn sacrifice. 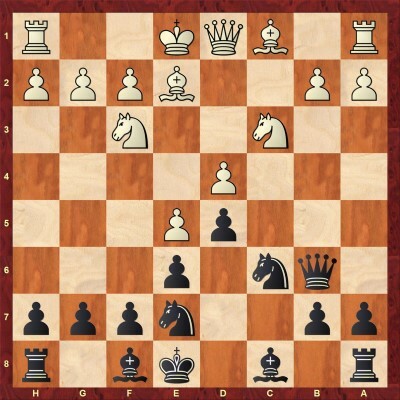 Black is by no means obliged to accept it and in this sense 3...c5 seems reasonable. 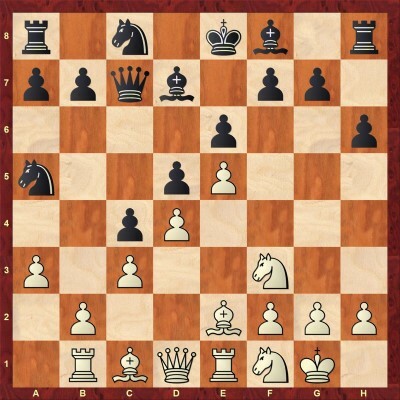 An idea of locking the big diagonal with d5-d4 is in the air, so 4.exd5 exd5 5.Nf3 Nc6 looks natural. 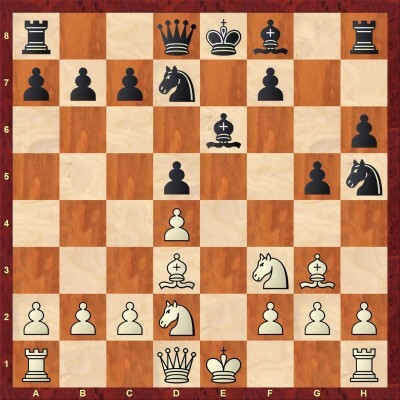 Next, to 6.d4 Nf6 an instructive comment ''leads to a very pleasant isolani position, as the c3-square is weak'' is coming and it says a lot in few words. 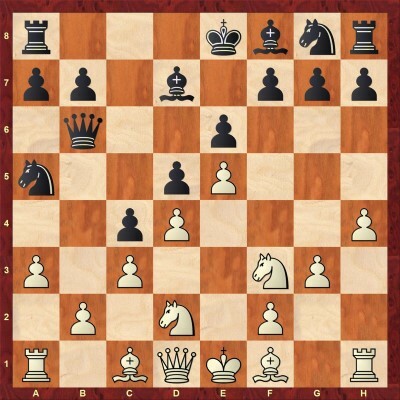 And 6.Bb5 is met by the subtle 6...Qe7! 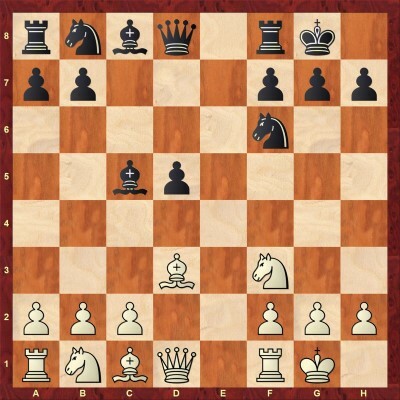 7.Qe2 Qxe2 8.Kxe2, when the author suggests the original 8...Ne7 9.Re1 f6 and the king will feel comfortable on f7. His approach may also serve well to the Sicilian adherents in order to meet this fianchetto system. Remarkably enough, the author goes nearly two centuries back in his research and picks up ideas from the match Mcdonnell - Labourdonnais! After 5.c3 Nh6 6.Na3 f6 the provided examples prove that the pawn exchange, followed by Nf5, Be7, and castling is quite good for Black. Less challenging is 3.Nc3, as revealed in Chapter 21. The concrete 3...dxe4! 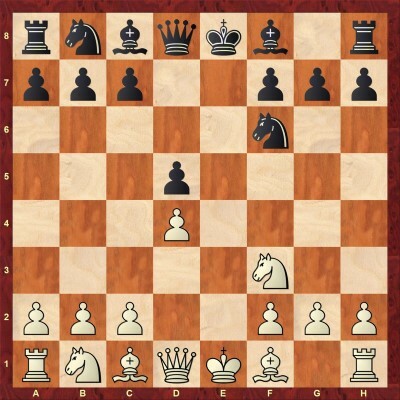 4.Nxe4 Nf6! 5.Nxf6 Qxf6 is very strong. 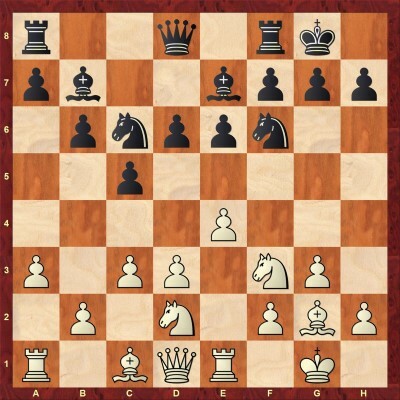 6.d4 is relatively best, but even then 6...c5 can make White regret about touching his f-pawn so early in the game. This position was reached in Ding Liren-Kramnik from the recent Candidates tournament. 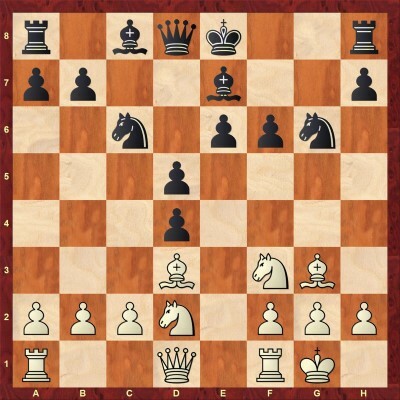 The Chinese GM tried to get to the vulnerable d6-pawn as quickly as possible - 12.b3 Nbd7 13.Ba3 Nc5 14.b4!? Ncd7 15.b5, but 15...Ne8! 16.Rc1 Ne5 17.Qe2 axb5 18.Ndxb5 g5! with ...f5 coming next, demonstrated the hidden resources of Black’s spring! In Chapter 24 the consequent 7.Nbd2 comes into the limelight. After 7...Be7 8.Re1 0-0 9.c3 Nc6 the author proves that Black is doing fine after 10.d4 c:d4 11.c:d4 Nb4! 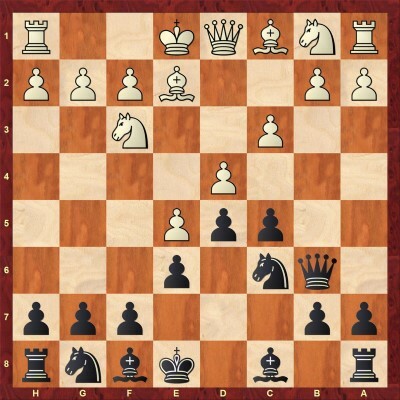 Black has more than sufficient play on the queenside. With his last move, White prevents all the Nb4-based ideas. In the future, however, the a3-pawn could be used as a hook. Marin's analysis goes 10...Rc8 11.d4 cxd4 12.cxd4 b5! (the key to counterplay!) 13.b3 b4! 14.a4 Na5 and only then Qb6. Marin makes it clear that the advance of the e-pawn is not dangerous for Black. Take note of his identical improvements on moves 14 and 16 in the featured game Amin-Vachier Lagrave! The last chapter 25 features several possible transpositions to aforementioned lines. Marin shows that White cannot deviate with interest in case of 2.c4 d5 3.exd5 exd5, when 4.d4 leads us back to Chapter 16 or 2.Qe2 c5 3.d3 b6 4.g3 Bb7, explaining that ''its main idea is to transpose to the King's Indian attack, a system where the queen does not always go to e2 in the scheme recommended above in the repertoire''. The same belongs to 2.d4 d5 3.Bd3 c5, while after 3.Qf3 dxe4 4.Qxe4 Nf6, followed by a timely c7-c5, Black has every chance to seize the initiative right in the opening.